Save section hierarchy of current notebook (not pages) into a templates store and later apply those templates to new notebooks. Create a new empty notebook to apply templates. 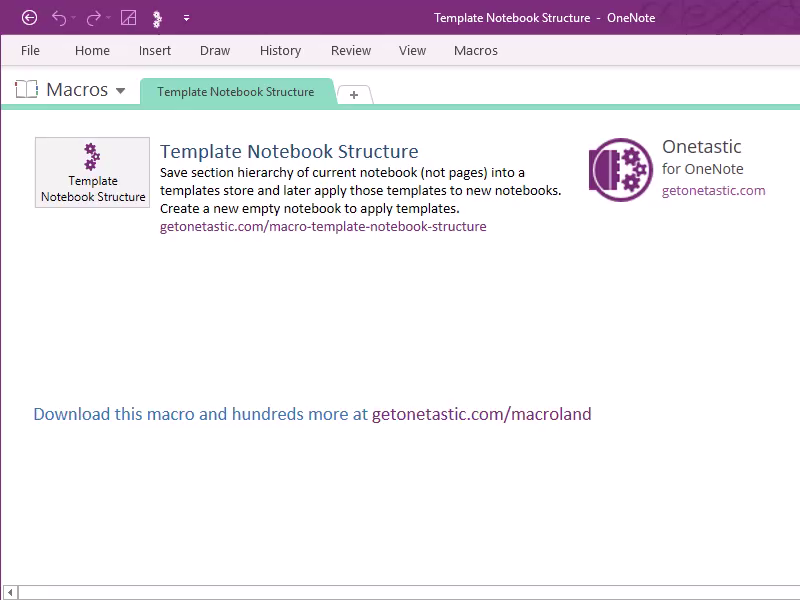 You can save the current notebook's structure as a template and later apply it to a new empty notebook by running this macro again. Choose an option below.